The final issue of 2017! 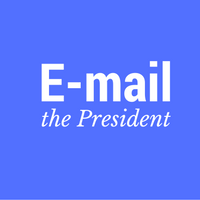 Don't forget to add this email address to your SAFE SENDER or Contacts list so you won't miss an update. 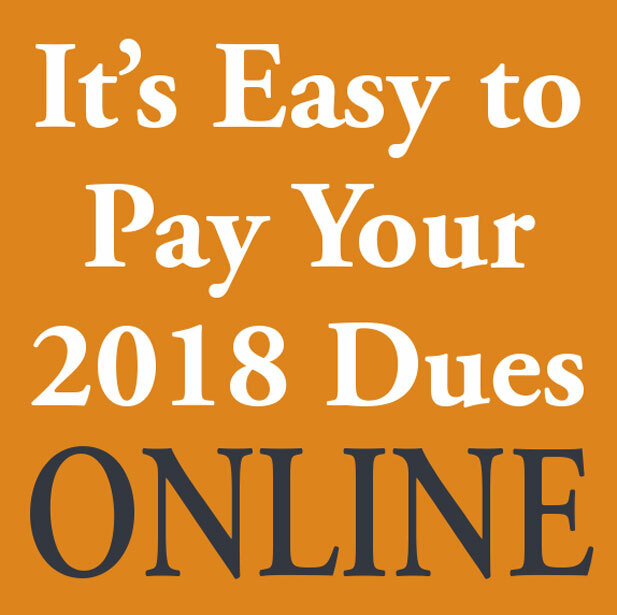 Are you on the Dec. 31 deadline to report CME credit? Go to IAFP's library of free online CME: IAFP education site. Spend Valentine's Day working on a KSA on Heart Failure (Heart/ Valentine's Day - get it?). KSA Group Study at Rush Copley in Aurora on Feb 14. Click here for more info. Online registration is open! You can sign up for a committee or join a Member Interest Group for 2018 Learn more and then you'll find a quick and easy link to sign up. The deadline is December 1. 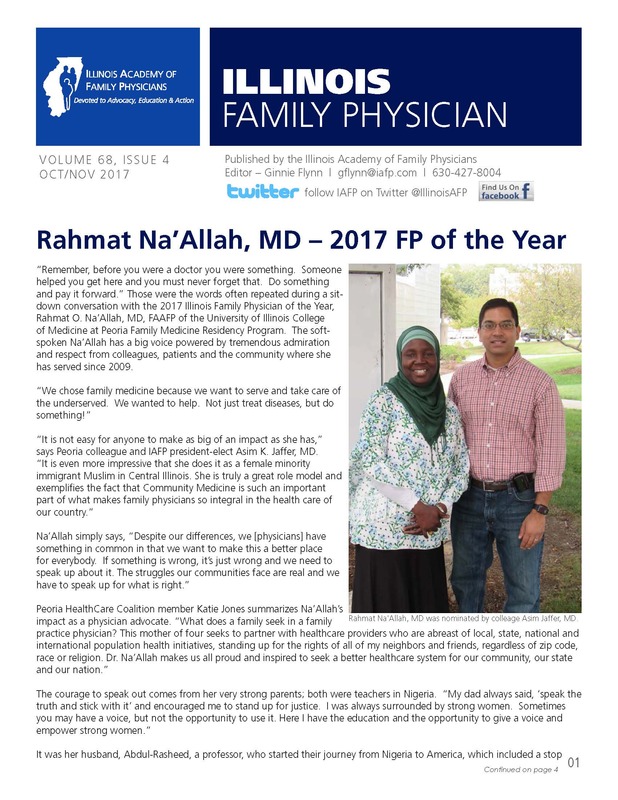 Help us provide students with a variety of tangible family medicine exposures, positive mentoring and interaction only possible through the Illinois Academy of Family Physicians. Learn more and then sign up via the secure Mentorship Community Forum (member login required) on our web site by Dec. 15. Support provided by a grant from the AAFP Foundation through the Family Medicine Philanthropic Consortium. "The Opioid Crisis: Considerations for Chronic Pain Management"
December 11th at 2:00 pm CT. 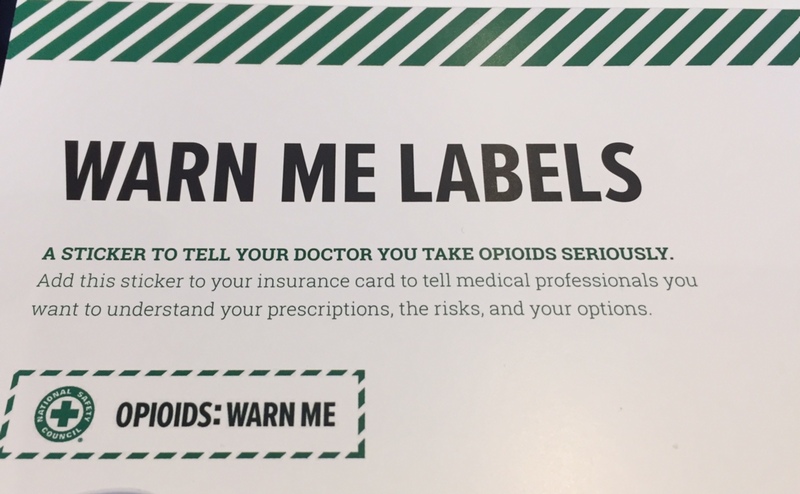 The campaign's call to action for the public are the Opioid: Warn Me labels, a way for patients to begin the opioid safety conversation with their physicians and medical providers. The National Safety Council will also provide IAFP members with mail-back medication disposal envelopes. For those physicians who would like the free "warn me" labels and/or medication return envelopes to share with patients, you can order at no charge a small supply (25) of each by emailing [email protected]. Click here for a physician information sheet about the "warn me" labels and how you can prescription mail-back envelopes for your patients. IAFP is pleased to announce our newest Partner in Health - Mingle Analytics. 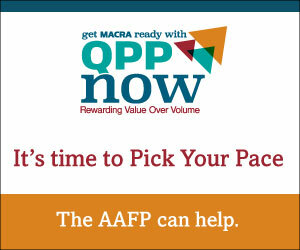 Use them for quality reporting services for MIPS and the new CMS Quality Payment Program now required for many of our members due to MACRA. This new program requires reporting by eligible clinicians (EC) for the 2017 reporting year ending March 31, 2018. Now is the perfect time to put your plans in motion. Through this partnership, IAFP has secured special discount pricing for MIPS Solutions by Mingle Analytics. Use your special discount code at registration and always mention IAFP when talking with the Mingle Analytics team. Learn more about their services and find the exclusive discount codes just for IAFP members. Tune in for a free webinar on Wednesday, December 6, at 11AM CT, The 2018 Quality Payment Program Final Rule - in Plain English, presented live by Dr. Dan Mingle. Register now to reserve your spot; seats are limited and filling quickly! 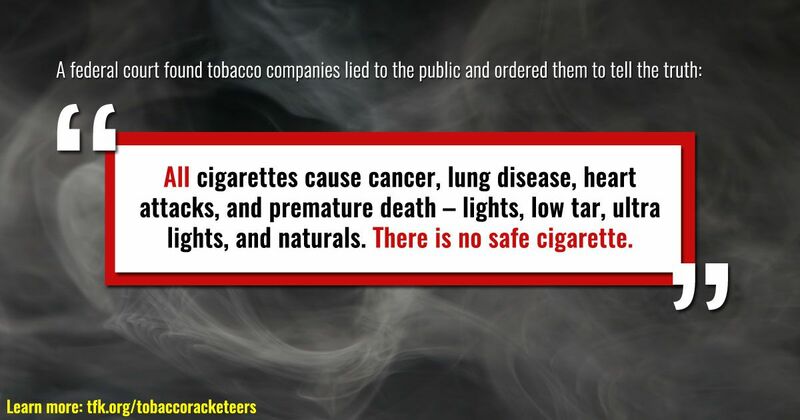 Starting on November 26, the major U.S. tobacco companies began running court-ordered television and newspaper ads that tell the American public the truth about the dangers of smoking and secondhand smoke. The ads - called corrective statements - will run in print and online in about 50 newspapers. They will also run for one year on the major television networks during prime time. You can find suggested social media graphics and language for use on Facebook and Twitter. The corrective statement TV ads themselves can be shared directly on Facebook and Twitter. A new Illinois law allows prescribers to ensure that local law enforcement can obtain and carry epi-pens in case of emergency. IDPH has a toolkit for providers to walk through the process. You can click here or find it on the IAFP's Practice Management resource page. Congratulations to Tri-City Health Partnership https://tchpfreeclinic.org/ in St. Charles, which received a "Family Medicine Cares USA" grant from the AAFP Foundation. The AAFP Foundation chose Tri-City to support a free clinic where retired and active family medicine physicians can volunteer and provide much needed care for the citizens of the TriCity Health Partnership community. TCHP serves central Kane County and gets it's name from the tri-city region of St. Charles, Geneva and Batavia. "At TCHP, patient care is priority, and our volunteer doctors rely on our ability to have access to updated equipment and materials. This grant will allow the clinic to provide quality instruments for our volunteers as well as improve overall patient outcomes. Tri City Health Partnership is truly grateful for all that the AAFP has done for our community," said partnership executive director Kim Lamansky. Gordana Krkic, CAE, IAFP Deputy executive vice president is quoted in a Nov. 18 Gatehouse News (Peoria Journal-Star and Springfield State Journal Register) about the impending rollout of a new Medicaid MCO structure (HealthChoice) and potential impact on patients/providers. Jeffrey Ripperda, MD is featured in a Nov. 22 Southern Illinoisan article about a lack of Access to Opioid/Substance abuse treatment and how that has created opportunities for "cash based" clinics. Juliette Kalwreit, MD penned an opinion piece for the Nov. 25 Rockford Register-Star on the importance of having meaningful conversations with atients about death. Tony Hampton, MD spent over 20 minutes live on the air on 670-AM The Score on Nov. 22 talking about the benefits of Tobacco 21 policies, and about the potential impact of tobacco use on adolescents with brains that are still developing.